The 21-MX computers were introduced in 1974, beginning with the M Series. The 21-MX Series replaced the 2100 computers. The new computers were both program and I/O compatible with the 2100 Series. The most significant technological innovation in the 21-MX computers was the use of semiconductor memory (instead of magnetic core memory). These machines were designed before semiconductor memory was commercially available and were among the first computers in the industry to feature the new memory. The name "21-MX" comes from the combination of "HP-21M" processors with "HP-21X" memory systems. The first computers in this series were referred to as "21-MX" when they were introduced in 1974. When the next models were introduced, they were called "21-MX E-Series". The name of the original models changed to "21-MX M-Series". By the end of 1977, the naming regimen changed again, and the computers were referred to as "HP-1000", and either "M-Series", "E-Series". The "HP-1000 F-Series" was introduced in 1978. The most notable difference among the seven mainframes that eventually make up the 21-MX Series is the height of the cabinet and the number of I/O channels offered by each model. The height varies from 5 1/4 inches (2105A/B) to 17 1/2 (2117F) inches, with internal I/O channels varying from 4 to 14. For more information on these products, be sure to sure to visit the Communicator Magazine library. 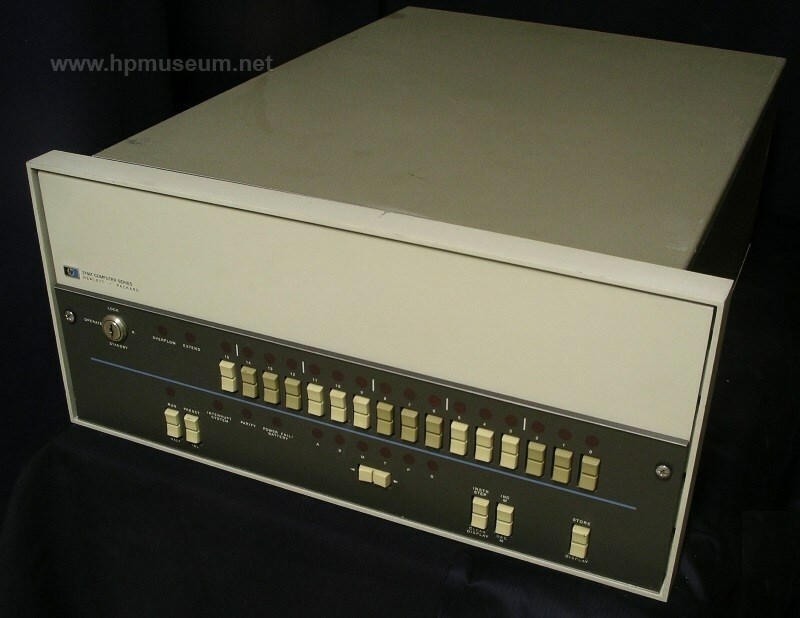 Be sure to visit Bob Shannon's HP-IPL/OS page and his collection of 21MX computers in action. The 21-MX computer was also a movie star. It made an appearance in the 1992 movie Garbo.